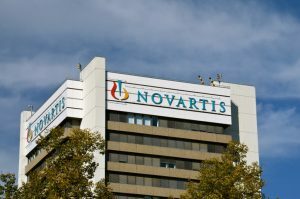 Swiss drugmaker Novartis AG (NYSE:NVS) has received approval from the U.S. Food and Drug Administration for a new breast cancer drug called Kisqali, known chemically as ribociclib. Novartis developed Kisqali along with Astex Pharmaceuticals, a subsidiary of Japan’s Otsuka Group. Astex will receive undisclosed payments from Novartis for its part in the partnership. The new drug has been approved as an initial treatment for postmenopausal women with a type of advanced metastatic breast cancer known as HR+/HER2-. According to the American Cancer Society, about 40 percent of U.S. women diagnosed with breast cancer have this type. Patients with this type of breast cancer have currently have limited options for treatment. Pfizer’s Ibrance has been the only CDK 4/6 inhibitor on the market for more than two years. Kisqali is part of the drug class called kinase inhibitors that slows the spread of cancer by blocking two proteins that can stimulate the growth and division of cancer cells. The new drug is administered along with an older cancer drug, either letrozole or another aromatase inhibitor, depending on the characteristics of their disease. A study funded by Novartis that researched the effects on 668 women found that Kisqali and letrozole together reduced the risk of death or the cancer worsening by 44 percent over those receiving only letrozole. Kisqali is taken daily for three weeks, followed by a one-week break, while the other drug is taken for all four weeks. Kisqali side effects may include nausea, hair loss and fatigue, along with potentially fatal abnormal heartbeat, serious liver problems and severe infections. The new drug cannot be taken by women who are pregnant or breastfeeding. The Swiss drugmaker’s treatment comes at a lower price tag than Pfizer’s Ibrance. Novartis estimates that it has priced Kisqali at an 18-20 percent discount to Ibrance while providing for flexible dosing. However, the patient monitoring requirements are more rigorous than those for Ibrance. Regulators recommend patients receive ECG monitoring before starting up treatment with Kisqali and repeat it at day 14 of the first cycle and the beginning of the second cycle. Novartis said a pack of 21 pills of Kisqali, a four-week supply, will have a list price of $10,950 for the 600-milligram dose. The 400-milligram dose will cost $8,760 and the 200-milligram dose will cost $4,380. Novartis said it will offer patients several types of financial assistance and many won’t have to make co-payments. Novartis considers Kisqali to be one of 13 new medicines in its portfolio with potential for annual revenue in the billions of dollars. Kisqali is expected to bring in $1.5 billion in sales by 2022, Thomson Reuters data shows. In 2016, Pfizer recorded $2.14 billion in Ibrance revenue. Novartis is conducting additional Kisqali studies in combination with other treatments to judge its effectiveness in those groupings. Two of those studies are in what is usually the last stage before seeking regulatory approval. The company said results should be available late this year or early next year.